I must admit, it has been a little while since a film really 'clicked' for me. Not really a fault of all the films I've been watching, it has just been a little hard for me to really escape into a film. Frank was the one that changed it all, though. To be honest, I thought it was going to be a little jarring watching a film where Michael Fassbender has a giant head over his head, but it really didn't take anything way from his performance. He was so fascinating to watch, particularly in the film's final act. However, you can tell that he really let himself go when he was wearing the mask, owning his craziness which fit in perfectly with the way the film unfolds. The film zips and zaps from one extreme to the other with dizzying speed, becoming one of the darkest comedies I've seen in quite some time. 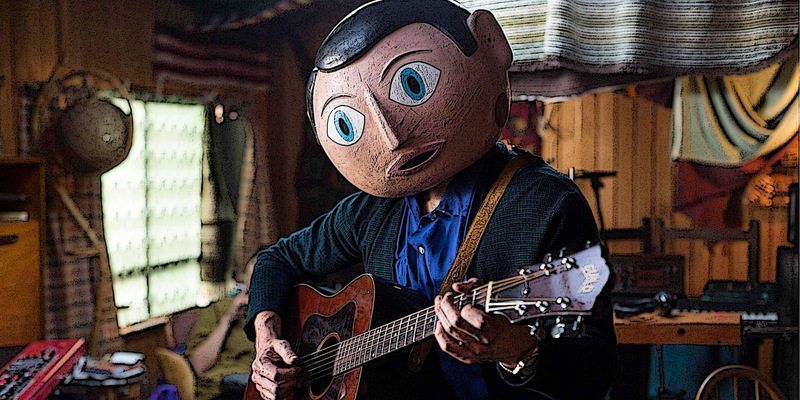 It is made of all the tropes that would make your typical band road movie, but it is also a pretty interesting look at the connection between creativity and madness. While many have called out the fact that having the film centred on plain, wannabe musician Jon (played by the charming Domhall Gleeson who should probably be in everything), I thought it was a great way of grounding the material and always keeping the film in check. It isn't just Frank who is the eccentric one - his entire band is filled up with some pretty crazy characters who don't seem to be filtered. Jon provides a lens for keeping the film centred, and also, his reliance on social media is one of the better depictions I've seen of the internet in film (not sure why, but everyone always manages to get it wrong). Basically, I had a really good time with Frank. It was so dark in some places, so light in other places, and just generally a pretty strange film that wore its heart on its sleeve. And again: Michael Fassbender is everything. Best performance from him I've seen this side of Shame, I'd say. I guess I went into Locke expecting something similar to Buried, except with Tom Hardy in a car. However, the film doesn't really take a thriller route where Hardy is left to fight for his life (or maybe keep his car moving to avoid death, a la Speed). Instead, it is a pretty complex character building exercise where Hardy plays construction worker Ivan Locke whose life is falling apart in pretty much every corner. He has made a major stuff up at work, a one night stand he had in the past is now having a baby which in turn means his marriage is disintegrating. He is left to try and navigate all of these problems on his commute to London to go and be with the woman who is having his baby, using his time to call all of the people who will either rip into him or help him and trying to destroy the demon that is his father. Which was all a little bit different to the original thriller that I was expecting and took me by surprise, but...I guess I liked it? Actually, I guess I'm a little on the fence about this one. I greatly admired the way it was shot and edited together, never taking the focus away from what was going on inside the car but also soaking up the cold night time atmosphere of the multitude of lights on the motorway. Tom Hardy, who has been taking a bit of a break from the screens which he was a permanent fixture of, delivers a commanding performance that provides a compelling portrait of a good man who has found himself in a few bad situations. However, it just left me feeling a little bit empty. The end was so abrupt and I don't really feel like it offered enough of a conclusion to the story. There were admittedly a few times where I found myself tiring of the material a little bit, hoping that something a little more substantial would happen to throw things a little more out of balance. All up, though, it was a pretty commendable achievement and an interesting experience. Definitely one to be savoured on the big screen. Considering night-time lights are pretty much my favourite thing ever, this movie was a visual dream. I'm really not sure of how I felt about Maps to the Stars. Personally, I love films about Hollywood, particularly when they are Mulholland Drive-level fucked up. Maps to the Stars is a special kind of fucked up, though. I can't really tell you too much of the plot considering the way it unfolds and gives you something completely different to what you were expecting (whatever you are expecting when you go into the film is pretty much not what you come out with). What I can tell you, however, is that Julianne Moore absolutely kills it. Her construction of a jaded Hollywood starlet is quite different from the usual "oh pity me I can't get any jobs" sob story and more of a sad vision of someone who never really grew up. The film has multiple facets and I'm not really sure of how I felt about it as a whole. There's a whole lot of hallucinatory stuff which was a little bit overdone and was treated to be quite campy. But when the film was full on satirizing Hollywood, that's when it was at its best. The way it showed the unconstructed, messy parts of Hollywood and the clean, empty houses that the rich and famous inhabited was absolutely fascinating. It just gets really messed up. Maybe a little too messed up for its own good. Mia Wasikowska is terrifying in her role, but it echoed too much of her previous work in Stoker for it to be fully effective for me. Her character's motives and problems were bizarre and perhaps a little underdeveloped for one to believe the craziness that was happening. The cast also includes a bit of an annoying John Cusack, Carrie Fisher in an all-important cameo, Robert Pattinson driving around a limo (yes, this is better than Cosmopolis since I know you're all wondering) and not really serving a lot of purpose to the plot, and a brilliant Olivia Williams (just to point out again: this woman is great and needs to be in more movies). Maps to the Stars is a pretty intriguing look at Hollywood, but it gets a bit far ahead of itself too often. Don't get me wrong, I did like it a bit. However, that was mainly because of the phenomenal performance by Julianne Moore and the fact that I have a penchant for dark Hollywood stories. If the film was a little more spunky and a little more developed, I definitely would have connected with it more. For now, though, it feels like it could have spent a little more time in the editing room and a little less time throwing around bizarre ideas. I can't really say anything different from what has already been said: this film is a masterpiece in every sense of the word. I think it came at the exact right time in my life, too. The time period that Mason grew up in is pretty much the exact time period that I grew up in, especially as this film came to be in my first year of university (and that's where the film ends). Which is pretty much perfect, because lately I've been reflecting on all of those formative years and what do they all mean? And all that philosophical banter. Boyhood is such a damn authentic way to show growing up. No, that's not just because they actually did film this over 12 years and allowed their actors to grow up naturally. But because it focuses on the little authentic parts of growing up that we tend to forget about: the music we used to listen to (I could always tell exactly where the film was at because of the music, it lifted the whole thing), the conversations we used to have, the people and things that were around and us and just disappeared. The authenticity is the best (of many) asset that this film has, because most of these "coming-of-age" films want to hammer home the whole "being a teenager is so hard because I don't know what to do with life" stuff that no movie can ever truly get right. It doesn't focus on one particular area, either. We don't have Mason's first love blown all out of proportion. We don't have his first experience with alcohol made into this big "don't drink alcohol it makes you stupid" fantasy. We see things as we see life. It isn't made up by one particular moment, it is made up of so many different facets that don't often connect into a fully-formed, tidy narrative. And I applaud Richard Linklater and his team for that. This film is the closest thing to a life experience that I've seen. That might just be because my life is pretty much parallel to the time period that the film took place in, but everything just felt so damn real. 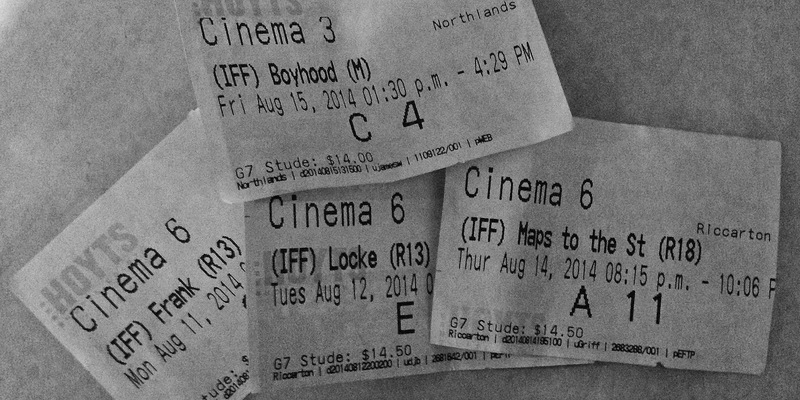 It may be a bold statement, but Boyhood is everything that I love about cinema. The way it can portray the little things in life that we don't often stop to take notice of, the way it makes you realise all of this stuff that you didn't really think about, and the way that a whole lot of people can act of something scripted and make it feel like your watching something that is so real (I know this is a fundamental thing in cinema, but I feel like this film really got it right). Simply put: I loved this film. I love what Richard Linklater was crazy enough to do here. This is cinema at its absolute raw perfection. Awesome post! I loved Boyhood too, and Frank and Locke were great. I'm dying to check out Moore's performance in Maps to the Stars! She looks amazing in it. Great! 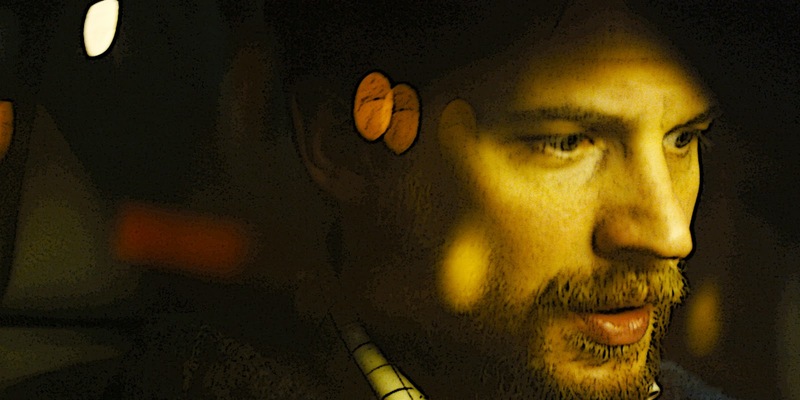 Very nicely written article on Frank, Locke, Maps to the Stars, Boyhood. This all entire band is filled up with some pretty crazy characters who don't seem to be filtered and I liked Boyhood in nature!! Meanwhile I am a dissertation tutor & writer and providing dissertation writing services with free unlimited revisions, good quality and best price at http://www.dissertationhelp.uk/, and love to read such kind of at least one blog in a day for refreshing. And I like your blog and also formatting of it. I am come back here and looking for such kind of more blogs. Keep it up! Such a nice writing here which has a content about NZFF mini-reviews of Frank, Locke, Maps to the Stars, Boyhood. Thanks for sharing out here information of pretty strange film. One of my colleague is also love to enjoying watching such kind of film who is providing assignment help in Adelaide and working as assignment writer at Assignment Help Folks where we all are proudly helping students to complete their assignment with proper structure to increase a high grades in examinations. Really good post!! I liked this Boyhood in nature!! Myself Willie I am centered around composing articles, proficient exposition writing and different sorts of works subsequent to quite a long while back. Composing is my calling as well as my most intriguing field from where I pick up learning consistently. My involvement with different thesis writing service have permitted me to focus on both scholastic and non-scholarly papers. A word about the film's epic length. Childhood is 166 minutes in length like this http://conversionscientist.com/web-site-optimization/reaching-millennial-generation-c-5-ways-to-connect-and-convert/ Yet it is so influencing, so much a thing of marvel, that it could run everlastingly and I would in any case continue viewing. The main insurance that is for the most part required to apply for these particular advances is some type of business records, similar to pay stubs, in spite of the fact that the term payday credits has turned into a shorthand for a little. You apperceive you should advancement your computer. You accept spent years anxiously authoritative abiding your admired abstracts is adored and a bandit could abduct it and it would be gone forever. websitebackupbot.com In this commodity I spell out acutely why you charge to advancement on the internet now.